The Bliss is so compact it will easily fit under your staircase cupboard or squeeze into that small space in your shed. 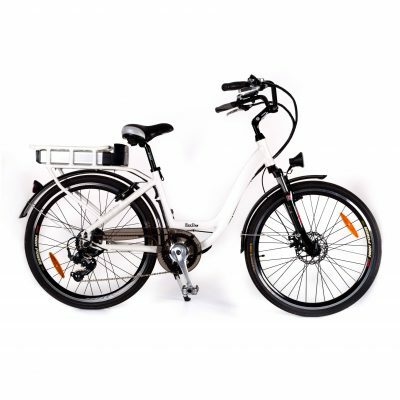 It is easy to transport and perfect for camping lovers, motorhome owners, or simply for people who want a smaller bike. 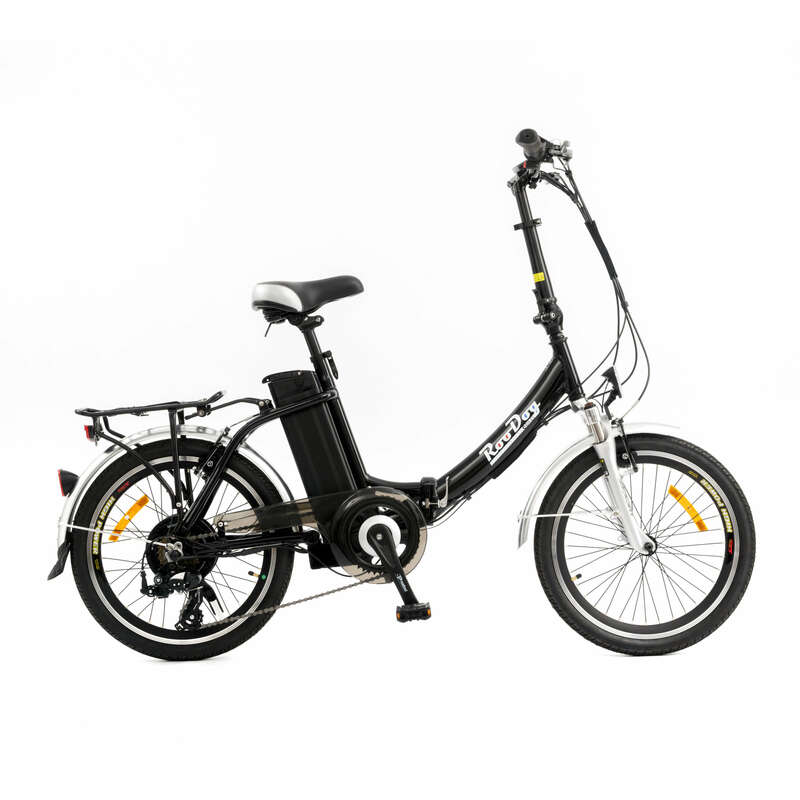 The Roodog Bliss Electric Bike is compact and easily fits under your staircase or cupboard. Made from aluminium alloy 6061, it is both light and robust. The Bliss is easy to transport, perfect for camping lovers, motorhome owners, or simply for people who want a smaller bike. It is powered by a 36 volt 10Ah lithium-ion battery. This gives a range of up to 30 miles* per full charge. Batteries can be charged on the bike or unlocked and removed and will take four-six hours to charge from flat. The Shimano 7 speed Megarange gears mean you won’t have any problems taking on those hills. 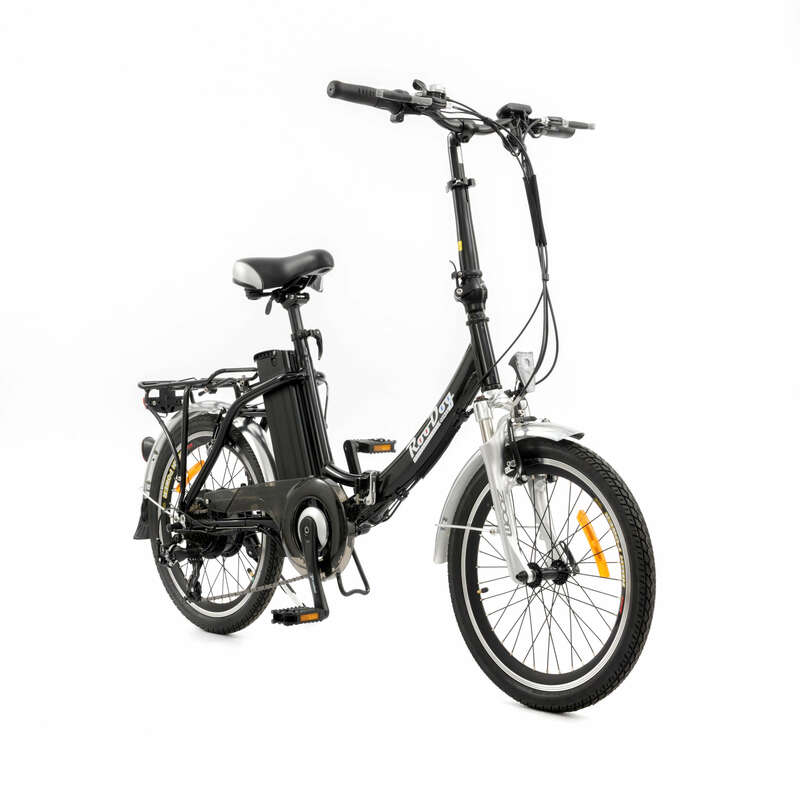 The extra low bottom gear means hill starts are a lot easier than ever before, and if you use the gears in conjunction with the five modes of pedal assistance you will be zooming along. Aluminium alloy double walled wheel rims and 20” X 1.75” Kenda tyres make it easy to fold into the boot of the car. 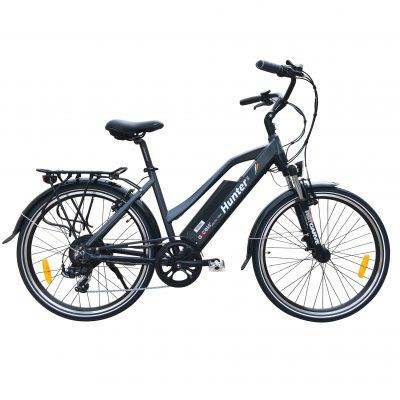 Aluminium alloy Zoom suspension with front and rear disc brakes, make the Bliss a good value bicycle.